The toys that made them! What day or date it is cannot be said with certainty because every day on the streets of this village, in its by-lanes and fields, at the porch of each household, in its ceremonies and in the insignificant but repetitive gestures of its women, carrying in their hands the destiny of their men, the future and the present of the village and of all those people and places anyone from here is ever going to touch, is the same. Little big cases of wood carried everywhere carry in turn the present, the future and the stories of what has now become past in them… Past, that can be very much seen in everything they do and believe in today. Mother, a treasure house of mysteries had always intrigued Ganesh with the varied many roles and ensemble of things she played with throughout the day. His bonding with her might have been natal and natural but his growing interest in her was purely owing to the dreamboat she was. 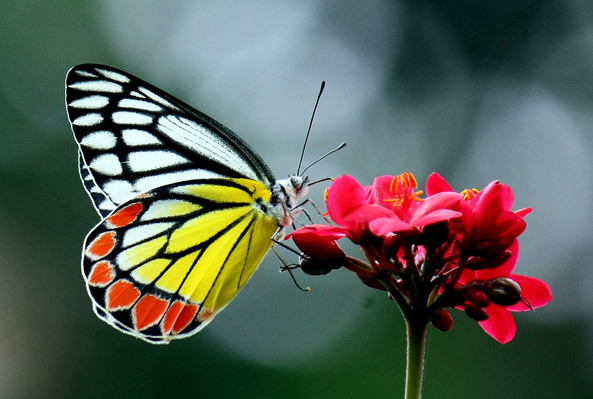 Every morning ever since he knew he had watched her get ready in front of her mirror… among her Tilak, fresh fragrant flowers and jewels were placed six wondrous boxes. 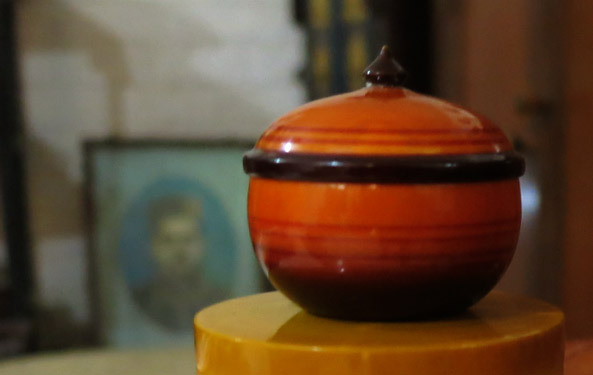 These cylindrical wooden boxes were lacquered and colored in turmeric yellow, amber red, green, indigo blue, black and orange, with beautiful knobbed lids sitting on top. Each of them was opened in turns and a little ritual was performed with the contained ingredients…. In between she would go and come back… fresh, water trickling down the long black strands of her hair like cascades… The room would suddenly be full of sharp spicy fragrance replacing the mild aroma of the fresh flowers sitting on her hair now… the play would get further mystified as clouds of smoke rising from the burning pot would be sent out by her in gentle waving gesture, making the goddess visible only through a misty screen. A shout would be heard and mother would come out of the room, leaving the goddess inside for the rest of the day… an indication for Ganesh to get ready and be present at kitchen for breakfast. Mother then would spend a few moments offering prayers to goddess Tulasi in the courtyard, where she has to protect and bring good fortune to the family…. a plate with Dhoopam, Kum-kum and a Lota filled with water… and on the way back she would get a few leaves from her branches. This would be the first interaction of her day with her female consorts…. every day. Meanwhile, by this time Ganesh is sitting on the kitchen ledge; fresh and dressed up for school, mother like goddess Annapurna appears with hot steaming Idlis and Sambar in her hands. And before biding goodbyes never did she ever once forget to smear his brown forehead with the mark of Sandal Tilak, right in between the brows and place a peck just above it. Ganesh would most often go through this ceremony with closed eyes…partly to feel the cool of sandal flow down the rest of his body but mostly for that rush that he uses to get … like a thousand butterflies rising to the floral scent of mother’s hair. He believes in her, he believes in her presence around him, in the flowers that he can still smell, sitting in his classroom, the white clouds, the goddess in the dressing room and the mystic messages from skies that she lets out with her hands filling their house with prayers. Lessons taught in class were important to pass exams but life was teaching Ganesh some other lesson, that seemed unavoidable… and before he knew, the butterfly of his imagination would take a flight and sit on some colorful object, something with an aura of sorts, the kind that grips you because it has a story to say…. while his gaze remained fixated on the blur grey of the chalk board, he would be drifting in some clouds, rolling down green hills or hanging from tree branches…. and so, the day would pass… Though, today on his way back from school he stopped by a little workshop at the turn of the lane. Anna sitting there in a heap of wood shavings was turning a block of wood on a lathe machine. He had seen this many times from outside but something pulled him closer today. After all, this was the place those message boxes of mother’s were brought from. Anna, a stout middle age man seemed jolly and did not mind his presence in the workshop. The wood kept rotating at a very high speed, while Anna held his magic torch to it and Lo! The rectangular wood turned into a cylinder right before his eyes… Wood shavings flying off in curled roles like those delicious cream roles in the bakery had by now an effect on him… he was drooling, mouth wide open… Finding some space on the soft mattress of wood shavings, he sat to take a closer look. The cylinder was now taking many shapes. 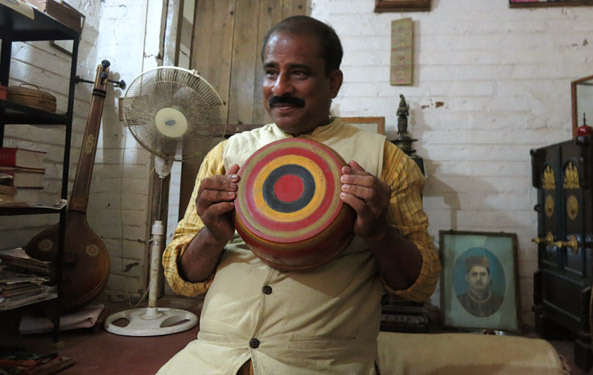 Tharani or Turned wood lacquer ware craft originated from a village called Lakapalli (or Nakapalli) near Etikoppaka in Vishakhapatnam district of Andhra Pradesh. While Etikoppaka excelled in making playing tops and Baranis (wooden boxes) to contain various items to be offered to Gods since historic times. During 15th century Toys, Boxes, utilitarian products like bowls, spice jars, idols of God & Goddesses were made here for local use as well as export. The craft saw a decline for a long period of time during colonial rule as a part of colonial policy that aimed at breaking the sustainable economic systems of India. In 1988 however, it came back to life with the efforts of many people, noteworthy of them are Mr. C.V Raju, who played a great role together with Uzra Bilgrami, in reviving the craft by introducing new product ranges inspired by traditional products but keeping in mind the modern requirements. 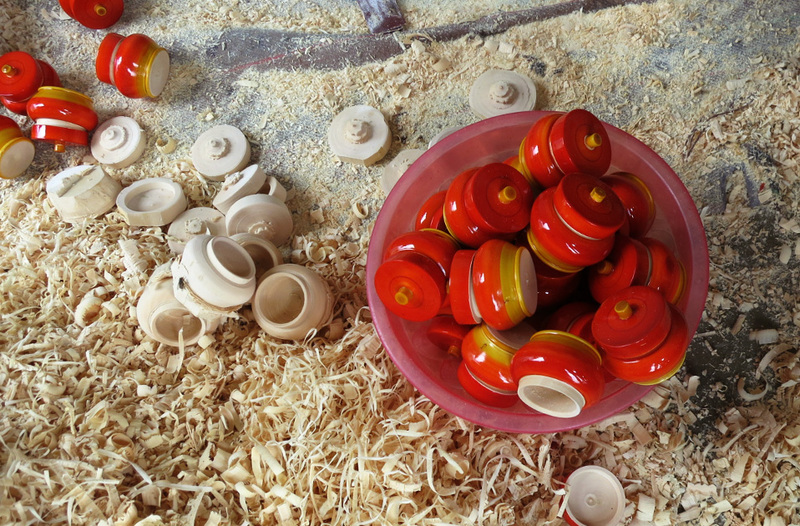 Mr. Raju, an agriculturist by education has been working in the craft popularly known as Etikoppaka toys or Etikoppaka Bommalu since last 30 years. Out of the total population of eleven thousand people, three hundred to four hundred men and women are involved in the craft today. 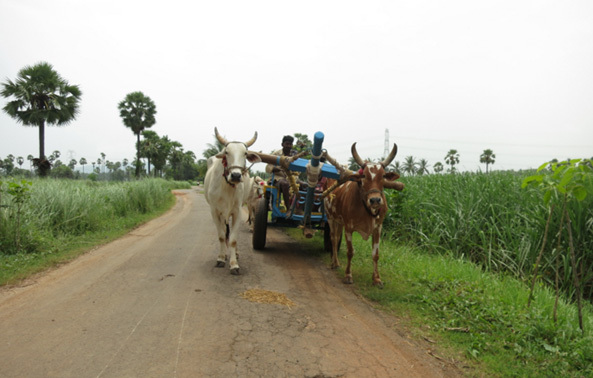 The other main sources of income to this village are agriculture and milk production apart from the craft. The craft community has around 160 households and they mostly stay in joint families with four to six members in each family. 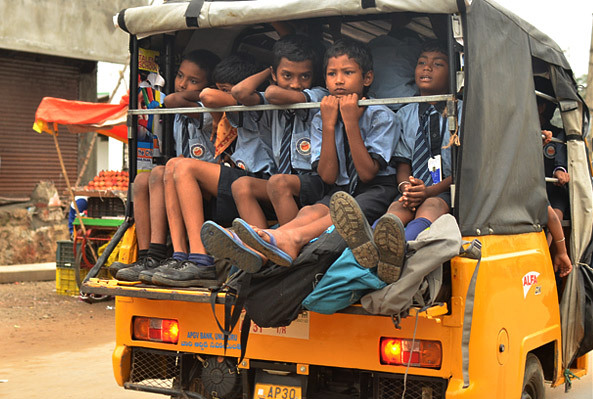 Their mother tongue is Telugu but few in the community understand and speak Hindi and English. 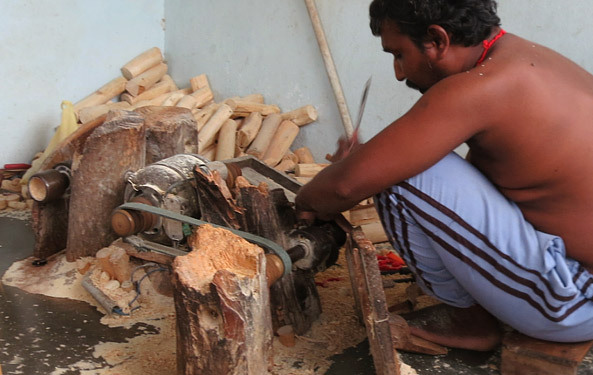 Vishwa Bhramins, the carpenters of the village were involved in toy making craft in the region since historic times. Padmashali, who were the weavers & Devangas, who were the spinners later joined the group since all the weaving practices in the village came to an end in early 1990s. Raw materials sourced for the craft are locally growing Wrightia Tinctoria wood (अंकुडू) & its sub specie Wrightia Tomentosa. It is a soft wood also called as ivory wood or white wood. 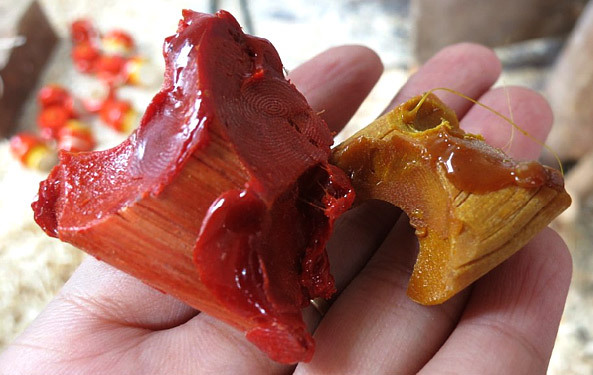 For inducing color in the toys, natural dyes are extracted from seeds, bark, roots and leaves which are mix with lac with the process of oxidation. After this process, the end product obtained is rich in color. 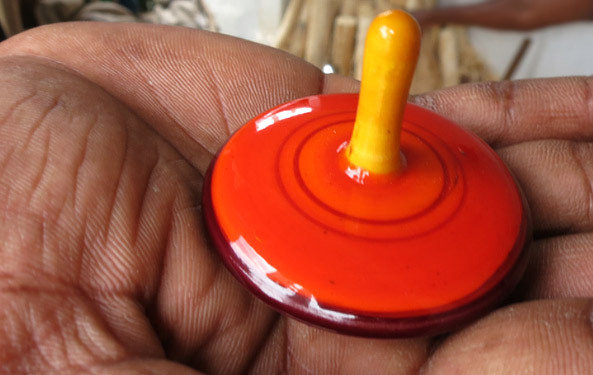 This lac dye is used for coloring the Etikoppaka toys. 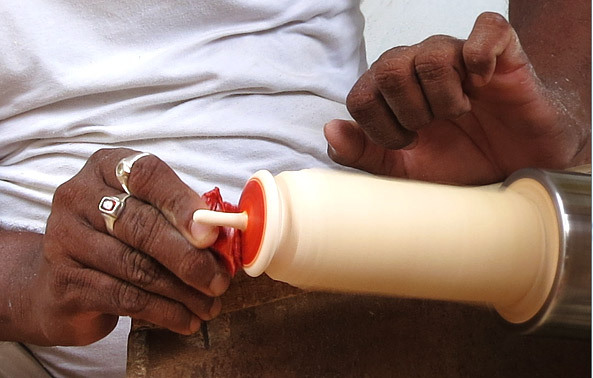 Sketches with measurements are given to the artisan to make small products precisely. They also work out many products through their own imagination. The artisans are skilled enough to figure out the technical nuances of any product within the limitation. Design inspirations are often taken from South Indian temple pillars, old brass utensils, Barinis . The tools used are mainly Chisels of different types- Goruli, Monauli, Lovuli and Hulli for scalping, hollowing, refining purposes. Every artisan makes his customized tools usually. Once the wood is harvested it is being semi finished and kept for seasoning for six weeks or so depending on the size of the product. Not more than two people are involved in making of a single product. Each and every Artisan household has a work place for preparing these artifacts. Before motorized lathes, artisans practiced on hand lathes. Both turning and chiseling of the wooden block were done by men. In 1975, with the intervention of motorized lathe machines, human labor was reduced to chiseling work, increasing their productivity as well as capacity to innovate. 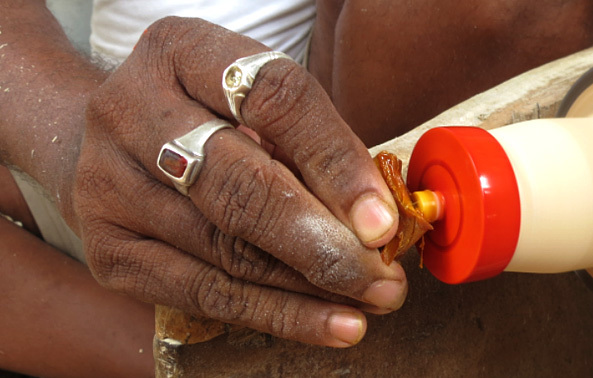 Shavings obtained during turning are being used as fuel for cooking and also made into a mosquito repellant. The wood powder is mixed with cow dung, Neem leaf and Sambarani & burnt to keep mosquitoes away. 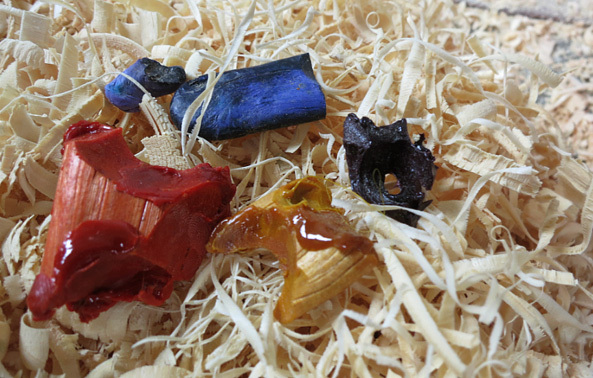 Smallest possible beads are made out of the last piece of wood.